Lauren E. Scardella, Esq. 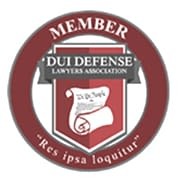 has been dedicated to defending the rights of those accused of criminal, DWI, and traffic offenses since 2009. She focuses her practice on these areas, as well as municipal court defense. 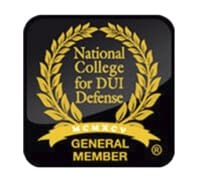 Lauren is a member of the National College for DUI Defense, and she has taught and co-taught numerous Continuing Legal Education courses on Municipal Court Practice and the Alcotest® 7110 MK-IIIC, the latter being the breath testing instrument utilized by all police departments in the State of New Jersey. She is the co-editor of the 2012 and 2014 editions of Municipal Court Practice, published by the New Jersey Institute for Continuing Legal Education (ICLE). Lauren is a native of Mercer County, New Jersey. In 2003, she graduated from American University in Washington, D.C. with a Bachelor of Arts in Justice. In 2008, she earned her Juris Doctor from Rutgers Law School in Newark, NJ. As a law student, Lauren was an Articles Editor for the Women’s Rights Law Reporter, a legal journal founded by United States Supreme Court Justice Ruth Bader Ginsburg. As a third-year law student, Lauren was selected to be a Teaching Associate for the first-year Legal Research & Writing course, a required component of the first-year program for all law students. 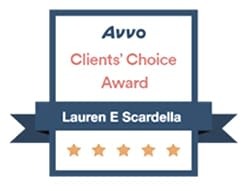 During the summers, Lauren found her passion for criminal law as a legal intern in the Mercer County Prosecutor’s Office, where she was assigned to the Gang Unit in her first summer and the Grand Jury Unit in her second summer. Following her graduation from Rutgers Law School, Lauren spent a year as the judicial law clerk to the Hon. Ira E. Kreizman, J.S.C. (Ret. ), who was then assigned to the Criminal Part of the New Jersey Superior Court for Monmouth County in Freehold, NJ. Following Lauren’s clerkship, she began her career in criminal defense as an associate at the Law Offices of Samuel Louis Sachs. In that position, Lauren defended hundreds of DWI, serious traffic, and serious criminal cases. After remaining in that position for nearly eight (8) years, Lauren now brings all of her experience to her own practice. 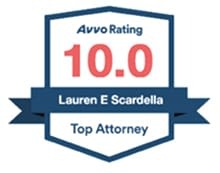 Lauren covers all of New Jersey, and she vigorously defends and protects the rights of the accused.